Apparently me and Markus have been engaged for 4 years now! :D In total we’ve been a couple for almost 9 years actually, so it’s been a long run. Normally we don’t bother much with anniversaries. I understand and remember the excitement about the first couple of years, but after being together for almost a decade adding yet another year to the counter isn’t all that spectacular. Although it should be, shouldn’t it? Clearly we must be doing something right if we’ve managed to keep it up for this long, but that doesn’t mean we can just drop the ball and stop making an effort. Where’s the fun in that? 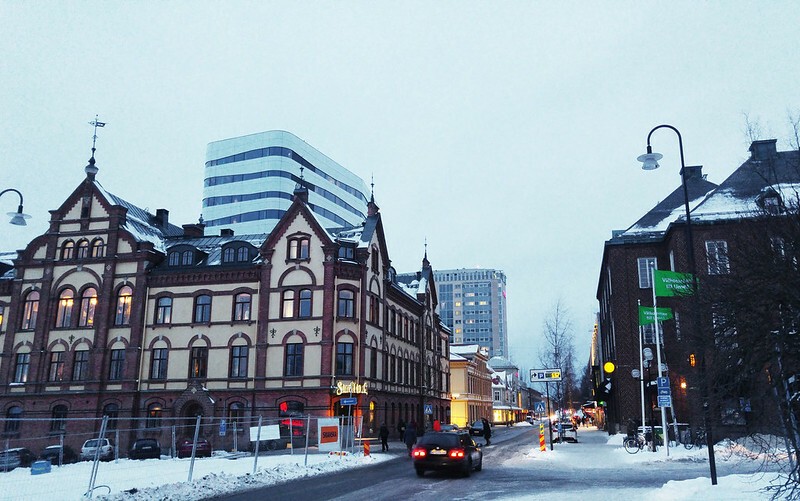 This year we decided to celebrate with a trip to the neighbouring city of Umeå, 2 hours south of here. 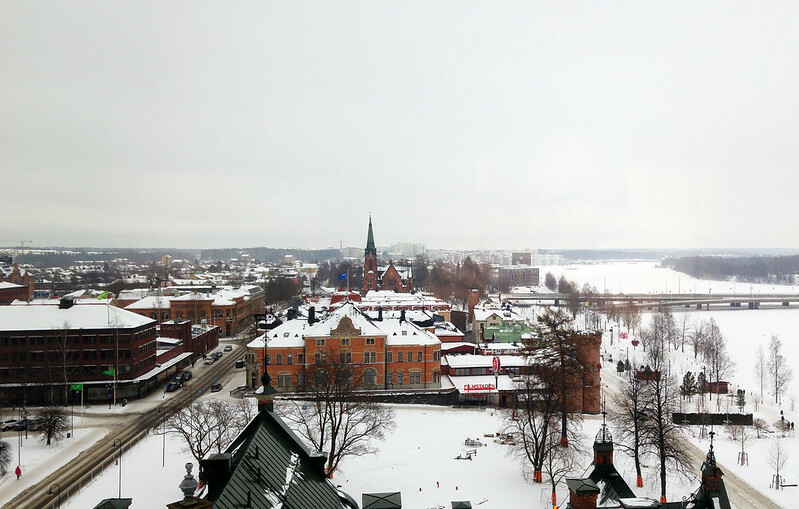 Umeå (pronounced you-me-oh) is the biggest city in north Sweden and so has a lot more entertainment to offer than our home town. We drove down on Saturday morning and then spent the whole day strolling around town, doing some shopping and just generally having a good time. Markus plays guitar, so the main event was a visit to Guitars – The Museum. In addition to the museum the building also has a 2 story music shop, a rock n’ roll themed bar/nightclub, and an American-inspired restaurant. 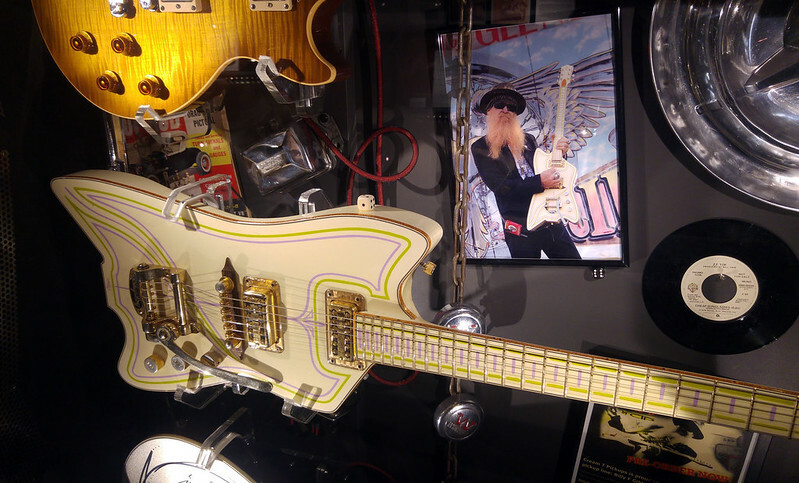 The museum is the life work of two twin brothers who started buying guitars as a hobby and eventually turned it into one of the worlds finest guitar collections. Today the museum holds hundreds of guitars from all eras, and has visitors coming from all over the world to see them. We must’ve spent over an hour there, listening to one of the brothers talking about their journey and telling anecdotes about the more special guitars. 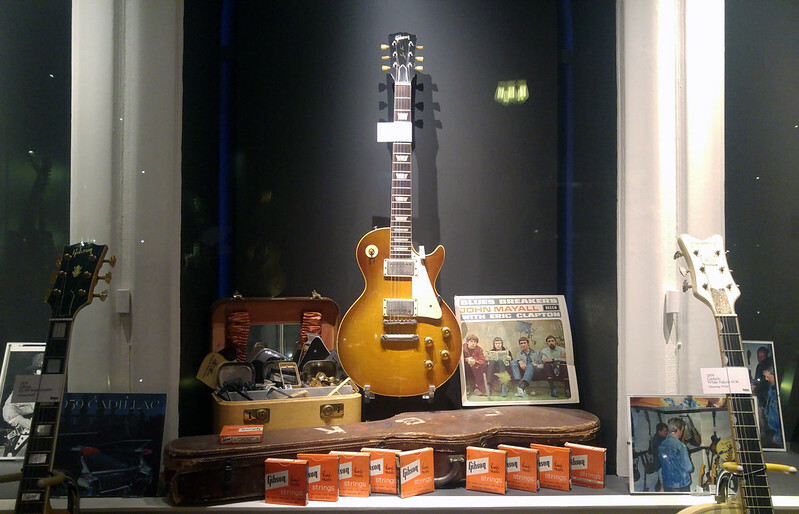 They have had quite a lot of celebrities collaborating with them and even visiting Umeå in person, so many of the guitars had real famous owners. 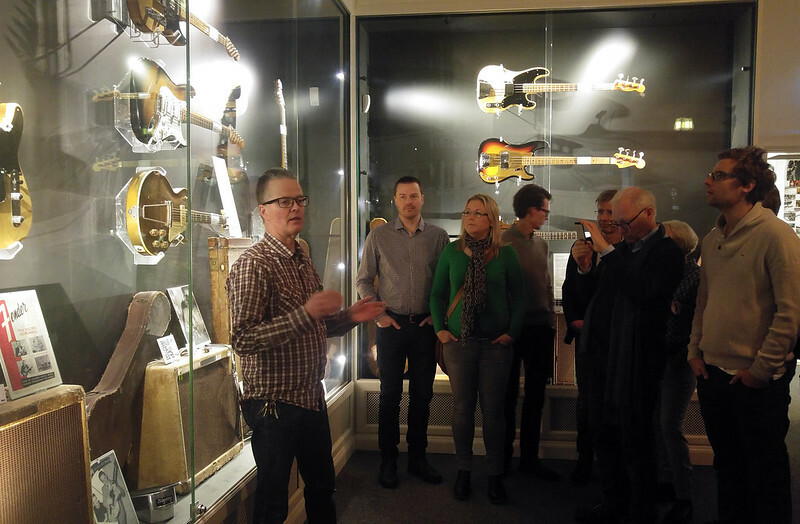 If you’re interested in guitars and music history you can read about the collection on their website (yes, it’s in English). In the evening we returned to Guitars to have dinner at the restaurant. 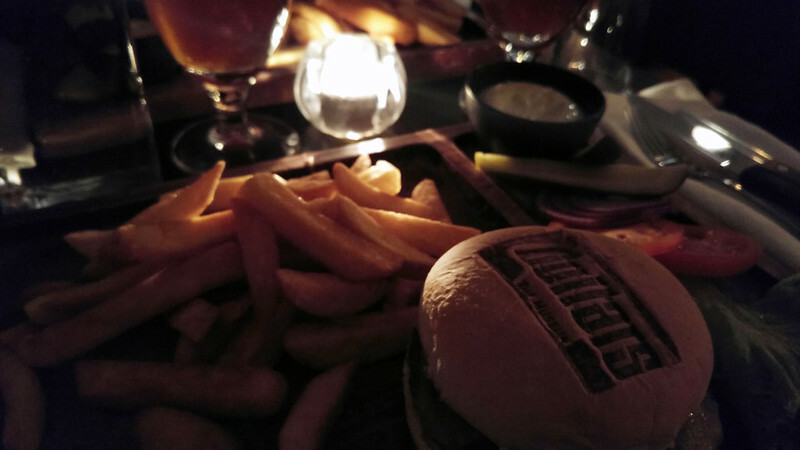 The food was excellent, their burger and fries were heaven! Afterwards we headed down to the bar for drinks. We got the bartender to play some Dropkick Murphys for us, so that was a win. :) Later a Jimi Hendrix cover band was playing in the nightclub. The night was spent in a river-side hotel. Our room was on the 10th floor, so the view was great! It feels like a huge break, honestly, to come across a couple who has been engaged for four years! I’ve not been understanding these 1-year engagements I’ve seen so much of these days, with everything being so much about rushing. The stamping on that burger bun is really cool! The museum is also cool; it reminds me a bit of Forney, Texas, which is known as the “Antique Capital of Texas”. A lot of antique collectors live there, and the small town gets a lot of tourists because of the unique stuff it has. Aw, so nice to read that you had a really nice time ‘as a couple’. Sometimes even though we spend a long time around the person we love we forget to have these kind of special times together. Happy anniversary? Is an engagement anniversary something people celebrate? I haven’t really thought about it, maybe it’s that many people seem to get married quite quickly after getting engaged. Your photos of the city are beautiful, I’ve only been to Stockholm but I loved it. Hope I’ll get to explore more of Sweden one day. 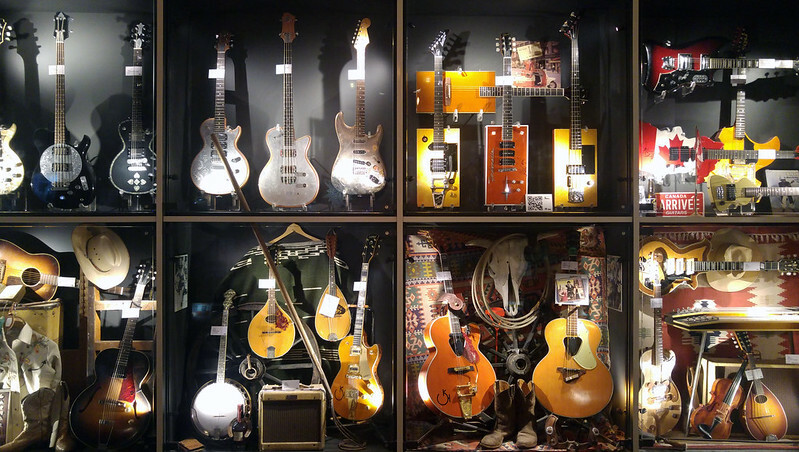 I love small, unusual museums too so would definitely check that guitar museum out.